An analogy is a comparison between similar ideas to help illustrate one of them. The featured photo for this post are sugar crystals on a string and the reason for this will become clear. 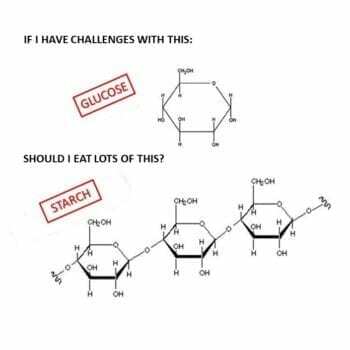 The idea for this article came when someone I follow on social media (Dr. RD Dikeman*) posted the graphic below, which shows complex carbohydrates as long strings of glucose, which starches are. But there are also other types of complex carbohydrates that are long strings of different sugar molecules that can impact blood glucose differently. I thought a simple explanation of what “complex carbohydrates” are, how they are digested and how these can affect blood sugar differently might be helpful, so that is what this article is about. 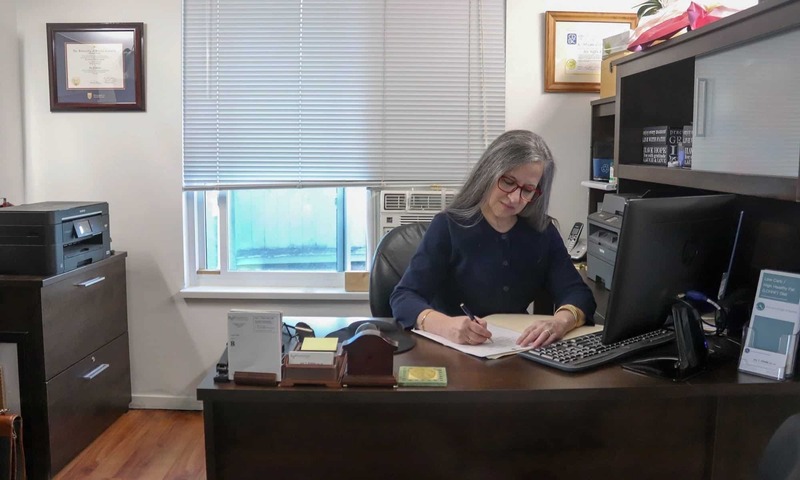 *Dr. RD Dikeman holds a PhD in Theoretic and Mathematical Physics and has become very knowledgeable in carbohydrate metabolism as a result of his son having been diagnosed in 2013 with Type 1 Diabetes. His son was eating 40-60 g of carbohydrate per meal and was experiencing a “roller-coaster ride” of high and low blood sugars, including an incidence of “ketoacidosis”; which is a life-threatening condition when the body produces high levels of ketones due to an insufficiency of insulin. This should not be confused with “ketosis” where the body switches to using fat stores for energy, such as after an overnight fast. Five years ago, Dr. Dikeman’s son began to follow the low carbohydrate protocol of Dr. Richard Bernstein MD (outlined in his book “Diabetes Solution”) and since that time has been able to maintain normal normal blood sugar levels with the minimum required doses of insulin. I liked the analogy of Dr. Dikeman’s graphic and wanted to use it as a ‘jumping off point’ for this article. Glucose (also called dextrose) is the type of sugar found in the blood which is why the common term “blood sugar” and the more clinical term “blood glucose” refer to the same thing. Glucose is one of the two sources of energy (along with ketones) that are used to fuel the body’s cells. Even people that don’t eat “low carb” will make ketones after a night’s sleep, so the body of healthy people runs on both glucose and ketones. The carb-containing foods that we eat are broken down into glucose for energy or the body makes the glucose it needs for the brain and red blood cells from other substances in a process called gluconeogenesis. 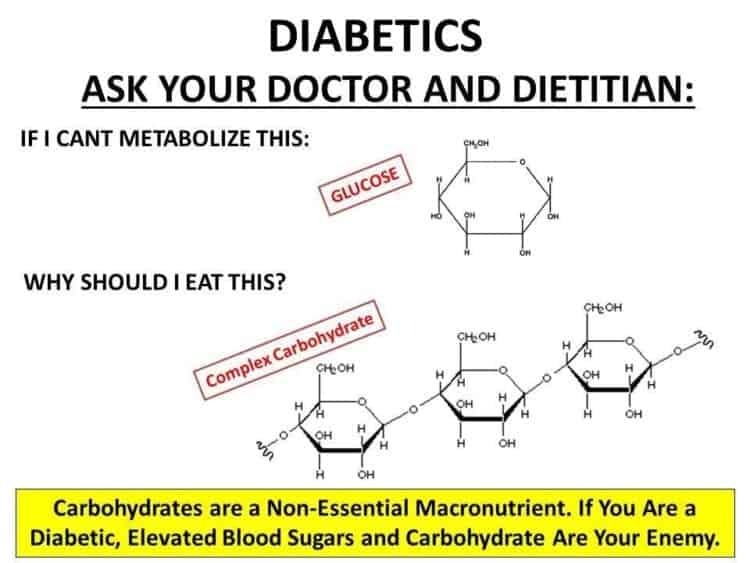 In the graphic above, Dr. Dikeman questions whether people such as Diabetics that have trouble metabolizing glucose should be eating complex carbohydrates that are essentially just long strings of glucose molecules strung together like beads on a chain. As in Dr. Dikeman’s illustration, some complex carbohydrates such as starch are just long chains of glucose molecules, however other complex carbohydrates are made up of other sugars such as galactose and fructose, along with glucose. Because of that I wanted to expand on Dr. Dikeman’s illustration. One way that carbs are sometimes classified is as “simple” or “complex”; with starch and fiber being categorized as complex carbs and all sugars being categorized as simple carbs. There are two types of simple sugars; monosaccharides and disaccharides. Mono means “one” and saccharides means “sugar” so a monosaccharide is just a single sugar molecule. Di means “two”, so a disaccharide is two sugar molecules joined together. As mentioned above, monosaccharides are made up of only a single sugar molecule and examples of these are glucose, fructose and galactose. All three monosaccharides have 6 carbons and the same chemical formula but look entirely different from each other. For example, glucose and galactose are 6-ring sugars and fructose is a 5-ring sugar. Glucose is usually found in food bound either to other glucose molecules, as in Dr. Dikeman’s illustration above, or may be bound to other types of sugar molecules in a disaccharide (2 sugar molecules) or a starch or fiber (long chain of sugar molecules). Fructose is the sugar found in fruit and since it is a 5-ring sugar, it can’t simply be broken down into glucose, which is a 6 ring sugar. Galactose is a six ring sugar that rarely exists on its own in food but that can be broken down in the body through digestion. It is usually found bound to glucose to form lactose, the sugar found in milk and dairy products. Disaccharides are two monosaccharide sugar molecules bound together. Sucrose is ordinary table sugar and made up of glucose-fructose. Maltose which rarely occurs naturally in foods, is glucose-glucose. Maltose is used in food processing such as the shiny glaze on Chinese roast duck. Complex carbohydrates are made up of more than two monosaccharides (sugar molecules). Oligosaccharides (where oligo means “scant” or “few”) are made up of 3-10 sugar molecules, whereas polysaccharides are made up of hundred or even thousands of monosaccharides (sugar molecules). Oligosaccharides are made up of 3-10 sugar molecules and the two most common are some of the complex carbohydrates found in dried beans, peas and lentils. Raffinose is an oligosaccharide made from 3 sugar molecules: galactose-glucose-fructose and stachyose is an oligosaccharide made from 4 sugar molecules: galactose-galactose-glucose-fructose. The body can’t break down either raffinose or stachyose, but this is done by the bacteria in the intestine. Polysaccharides are made up of hundreds or thousands of sugar molecules linked together. When those sugar molecules are only glucose, the polysaccharide is called “starch”. Some polysaccharides form long straight chains while others are branched like a tree. These structural difference affect how these carbohydrates behave when they’re heated or put in water. The way the monosaccharides are linked together makes the polysaccharides either digestible as in starch, or indigestible as in fiber. Polysaccharides found in plant foods such as fiber, cellulose, hemicellulose, gums and mucilages (such as psyllium) are indigestible by the body so won’t be covered in this article, but it should be noted that they can slow down the absorption of digestible carbohydrate. Starches are long chains of glucose molecules strung together like beads on a string and are the ones illustrated in Dr. Dikeman’s illustration, above. Starches are found in grains such as wheat, corn, rice, oats, millet and barley as well as in legumes such as peas, beans and lentils* and tubers such as potatoes, yams and cassava. *Recall as mentioned above that peas, beans and lentils also have the complex carbohydrates called oligosaccharides which are not broken down by the body, but by the bacteria of the gut. There are two types of starches; the long unbranched chains called amylose and the long branched chain ones call amylopectin. What is important in this context is that the long branched chain starches called amylopectin are more easily digested. The body digests most starches very easily, although those with a high percentage of amylopectin (such as cornstarch) are digested much more easily than those with a high amount of amylose, such as wheat starch . Since starches are just glucose molecules linked together and they are easily broken down to individual glucose molecules, starches can quickly affect the blood sugar of those who are pre-diabetic or have Diabetes. That is the “point” behind Dr. Dikeman’s illustration, above which I have modified slightly, below. Those who are Diabetic (or pre-diabetic) already have challenges with their blood glucose (“blood sugar”), so does eating foods that are nothing more than long strings of glucose such as starches really make sense? Note: While the fiber content of whole grain pasta will slow down its digestion compared to refined pasta, it is still long strings of glucose molecules. Think of whole wheat pasta as a string of pearls with in addition to the pearls, in this case fiber. Carbohydrate digestion begins in the mouth where an enzyme in saliva called amylase breaks starch down into shorter polysaccharides and maltose. The acidity of the stomach temporarily stops the effect of the salivary amylase, but the digestion of carbohydrate starts up again in the small intestine where most carbohydrate digestion takes place. Digestion of carbohydrates begins again when the pancreas secretes pancreatic amylase into the small intestine. In the small intestine, starch is broken down in to many, many individual units of the disaccharide maltose, which are simply two glucose molecules linked together. Then, enzymes located to the brush border of the small intestine break the alpha bond which holds the two glucose molecules together. It’s easy to understand how starch, which is simply long chains of glucose molecules strung together are so easily broken down when digestion already starts in the mouth and is completed in the small intestine where the disaccharide (maltose) is broken down into 2 glucose molecules. In the small intestine, other enzymes split other disaccharides into monosaccharides; so for example, the enzyme sucrase splits the disaccharide sucrose into glucose and fructose and the enzyme lactase splits the disaccharide lactose into glucose and galactose. Note that these other disaccharides are only 1/2 glucose. Monosaccharides are absorbed into the mucosal cells of the small intestine and travel to the liver, where galactose and fructose are converted to glucose and the glucose is stored in the liver as glycogen. Glycogen is long, highly branched chains of glucose molecules (similar to amylopectin, but much more highly branched). When needed, the liver can break down glycogen into glucose at a rate of 100 mg to 150 mg of glucose per minute for up to 12 hours . When glycogen stores of the liver are already full, the glucose from the broken down carbohydrate with the help of the hormone insulin converts the excess glucose into fat and sends to other parts of the body to be stored in adipose tissue. As covered in previous articles including this one , there is NO requirement for people to eat carbohydrate-based food” provided that adequate amounts of protein and fat are consumed” which are used to provide essential glucose for the brain via gluconeogenesis. This does not mean that I recommend people don’t eat any carbohydrate-based food! Which carbohydrate-based food people are able to eat and in what quantity without it affecting their blood sugar to any large degree varies considerably from person to person, whether or not they are Diabetic. For those who already have Type 2 Diabetes or are pre-diabetic, a personalized nutrition approach is needed. This is often called “eating to your meter“; testing a specific quantity of a food by itself, to see how your blood sugar responds. Based on research, some people with Type 2 Diabetes can do well eating certain types of legumes (pulses) including black beans, white navy beans, pinto beans, red and white kidney beans, chickpeas and fava beans  which is helpful for those who follow a plant-based vegetarian diet. Once people have lowered their HbA1C and fasting blood glucose levels and achieved remission of Type 2 Diabetes symptoms, I work can work with them in determining which foods they can re-introduce into their diet and in what quantities and how often, so as not to adversely impact their blood sugar. Some do better than others. Over the last 4 years of my clinical practice, I have found that many people with pre-diabetes or Type 2 Diabetes can often manage their blood glucose well while including small servings (1/2 cup / 125 ml) of whole-food starchy vegetables such as winter squash (butternut, acorn, kobacha, etc. ), as well as small servings of other starchy whole-food vegetables such as orange or purple yam, or peas. For those eating a moderately-low level of carbs (non-ketogenic) or want to keep eating these foods, I encourage them to choose these more often over starch-based foods such as pasta, rice and bread. That doesn’t mean that people with Type 2 Diabetes shouldn’t ever eat whole, unmilled brown rice or quinoa but that avoiding refined starches such as white bread, pasta and rice is best preferable. I hope that you found this article helpful to understand what complex carbohydrates are, and why certain types of complex carbs are more of a challenge to those with Type 2 Diabetes or pre-diabetes. If you have questions about how I can help you eat in a way to lower your blood sugar levels, please send me a note through the Contact Me form above and for information about the types of services I offer, please have a look under the Services tab or in the Shop. Zeevi D, Korem T, Zmora N, et al. Personalized Nutrition by Prediction of Glycemic Responses. Cell. 2015 Nov 19;163(5):1079-1094. Sievenpiper, J.L., Kendall, C.W.C., Esfahani, A. et al. Effect of non-oil-seed pulses on glycaemic control: a systematic review and meta-analysis of randomised controlled experimental trials in people with and without diabetes. Diabetologia (2009) 52: 1479.